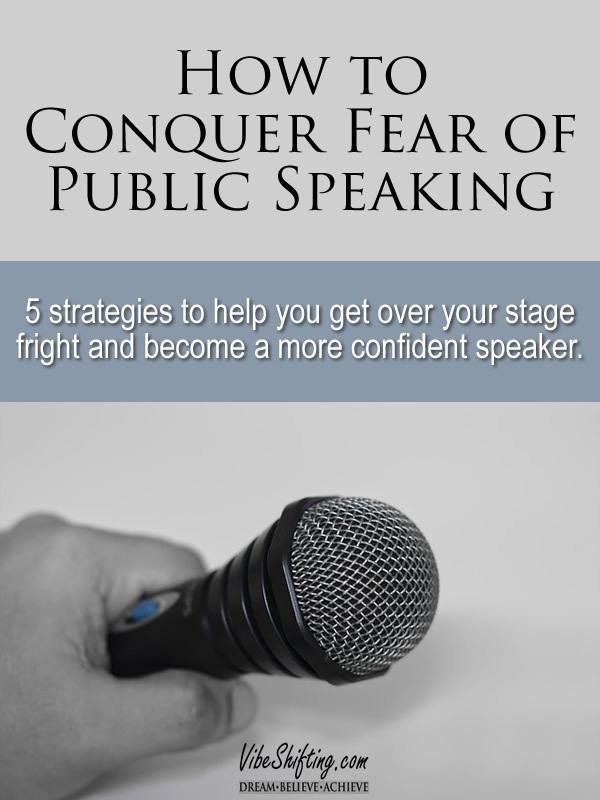 Today we are talking about techniques that you can use to help conquer a fear of public speaking. Whether it’s having to speak in front of a committee at work, or run a training program, or give a toast at a wedding; having to speak in public, in front of actual people, is something that tends to drive a cold wedge of fear into the hearts of an awful lot of people. Sometimes the anxiety and nerves that hit when you know you have to speak in public like that can be absolutely overwhelming. In my own life, I’ve dealt with some awful stage fright issues through my experiences with Toastmasters. It was horrible – my heart used to slam inside my chest so hard I was afraid it might get bruised. And I would shake all the way through my speech and for a good twenty minutes or so afterwards. In order to continue with Toastmasters and really start working on becoming the kind of speaker that I wanted to be (one of my goals in life is to become a professional speaker), I had to find ways of dealing with the fear so that I could work on improving my technique and delivery. Today we’re going to go over some of the techniques strategies that you can use to help you overcome the fear and get through your performance anxiety. Some of these are strategies that I use myself, and some of them are used by people I’ve talked to who have also dealt with their own stage fright issues. Strategy #1: Fake it ‘Til You Make It. With this strategy, you basically pretend. It’s the “acting as if” principle – you act as if you were a confident speaker until you actually become a confident speaker. Try to get yourself into the mindset of a confident speaker (whatever that means for you); what would a confident speaker wear for this event? How would she walk up to the front of the room? How would she greet the MC? How would she look at the audience? How would she deliver her speech? You could even extend this into other areas of your life: How would a confident speaker answer her telephone? What would a confident speaker order for lunch? How would she pay for her groceries? What would a confident speaker listen to in her car? Get yourself completely into the persona of being a confident speaker, and eventually this will seep through your entire being and you will find yourself becoming that confident speaker! Another way you could work with this particular technique is to pretend you are an actor. An actor isn’t really a doctor or an astronaut or a World War II code-breaking genius. But he gets himself into the role – he assumes the persona and becomes each of those things as needed. Even if he isn’t a computer whiz, he pretends that he is and acts as if he is. So become the actor – assume the role of a confident speaker and pretend that you are one for the duration of your speech. You could turn it into a game and pretend the Confident Speaker is your alternate, secret identity. You may be mild-mannered Clark Kent most of the time, but when the situation calls for it, you become Super Speaker Man, the ultimate speech-giving super-hero! Strategy #2: Program Your Mind. With this strategy, you use things like mantras, affirmations and afformations to program your subconscious mind into believing and accepting that you are a confident, effective speaker. In choosing a mantra, pick a quote or saying that gives you confidence and repeat it to yourself frequently, especially on the day that you are required to speak. For afformations, you flip it around a little and ask yourself a question: “How did I become such a great speaker?” or “How did I learn to connect with and motivate people so easily?” By asking a question, you’re implanting the suggestion in your sub-conscious that this is a given fact. And your mind, which tends to get annoyed by unanswered questions, will automatically start looking for the answers on your behalf. A little mental trickery with this one, but if it gets you the results you’re after, it’s all good – you’re only tricking yourself after all, and it’s in your own best interests. Strategy #3: Find a Calming Ritual. 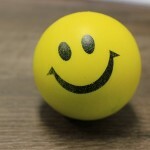 One very common practice to help conquer fear of public speaking is the use of calming rituals. These generally are repetitive practices that you use to help work off the excess nervous energy just before you have to speak. In my case, for instance, I have a tendency to pace around in a circle outside the speaking room, rehearsing my speech under my breath. I must look like a bit of a nut case to the outside observer, wandering around in circles, muttering to myself, but it’s soothing to me. The pacing acts as a bit of a moving meditation, and the repetition of the speech pulls my mind away from the fear I’m feeling. Other people like to pace in straight lines, and still other people like to repeat prayers. Find a practice that works to help you calm your nerves and take your mind off your fear and panic. Meditation is useful for so many things in life, and coping with performance anxiety is no exception. Don’t get turned off the concept of meditation because you’ve got the idea in your head that it takes too long, or that it has to involve chanting or convoluted physical poses. It doesn’t have to involve any of that unless you want it to. Meditation can start with as little as 5 minutes a day. Just five minutes to sit in silence, calm your racing thoughts, and breathe deeply. 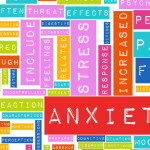 When we are anxious, one of the physical reactions that we have is to start breathing quickly and shallowly, which has the unfortunate effect of increasing those feelings of anxiety. One of the easiest ways to counteract this is to focus on your breathing – take several slow, deep breaths, and this will start to alleviate some of that tension you’re feeling. And one of the simplest breathing meditations you can do is to just close your eyes and count those deep breaths in and out. Each cycle of one breath in and then out is a single count. Count ten cycles and then start over again at one (this helps to keep your mind focused on your breathing rather than wandering off while you’re counting – it’s a mindfulness ttick). Do this for three to five cycles and you’ll be feeling much more calm and able to cope with your imminent speech. Strategy #5: Focus on Your Audience. 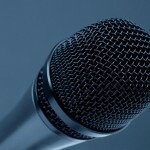 This is the key strategy that made a HUGE difference in my own struggles to deal with my public speaking fears. One day I realized that I was focused completely on my own fear – how scared I was; how hard my heart was pounding; how much I was shaking (and how certain I was that other people could see it); how worried I was that I might be sick in front everyone; how much I hoped I didn’t pass out in front the entire room (that actually did happen to me once in tenth grade history class, by the way – not fun). In other words, I was completely focused on ME, rather than on my audience. So I made a switch. I tried thinking differently. I tried thinking about what I wanted my audience to get out my performance. What was my end goal for them? How did I want them to feel after hearing my speech? What did I want them to DO after hearing my speech? What kind of experience did I want them to have? And how would I be best able to do all of that for them? When I made that perspective shift away from my own fear and over to what I wanted to do for the people listening to me, it made SUCH a difference in my anxiety levels. It really was a “click” moment for me. And from a Law of Attraction perspective, it makes so much sense – what we focus on is what expands. So when I was focused on my fear – it got worse. And when I was able to focus, instead, on the wonderful things I wanted the audience to get out of the experience THAT is what expanded, instead. How nice! These tips can be applied to life is general as well, not just for public speaking, as I found myself thinking of other scenarios in which they can be applied. For example, interviews, test anxiety, parties (some are agoraphobic and afraid to attend parties, so these tips should help them). Being kind to yourself instead of beating yourself up is another helpful one. Like, flirting with yourself in front of the mirror before a party helps get you in the zone or sets the mood. Thank you for sharing this journey of yours. I love hearing about people overcoming things. I’d like to add to your list and that is to be as prepared as possible. I’m a high school teacher and I speak each day in front of 100 or more students, no problem as I’ve been doing it of 16 years. But recently I went back to school for a masters degree and I had to present in front of my peers, big difference, to say the least. The first time I thought I could just “wing it”…it did not go well, as I was not confident with the material I was presenting and nearly bombed! Lesson learned, and was totally prepared (and more confident) for each presentation assignment after that. 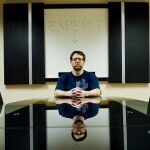 Recently I gave a long presentation in front of our Board of Education. I read and rewrote my speech several time in order to be confident in my thoughts and the material I was presenting. The night of the presentation I was so prepared I even went off script and really did well. Absolutely agree — preparing for a speech is really important (if not critical) to success. I do find that there is such a thing as being over-prepared, though — in the sense of having a speech so memorized that if you trip up even the tiniest bit it throws off the whole thing. Also, if it’s too memorized, it can come off as a bit mechanical and not as “genuine” sometimes. I find I do best when I know the material cold, and know what I want to say (and have rehearsed it well), but am flexible in the delivery.